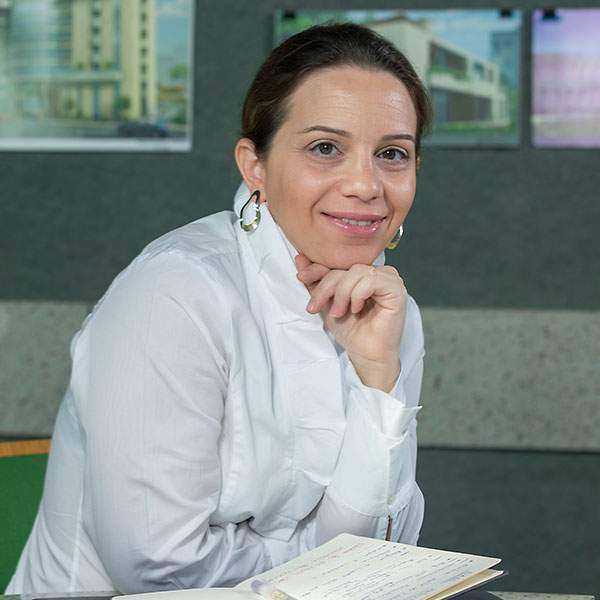 Raya Bitar joined the 4b Architects team in 2004 as Managing Partner to lead the Heritage Preservation and Restoration department and the Interior Design Departments. Highly precise in her approach to conservation, preservation, and adaptive-reuse, she has been instrumental in developing 4B Architects’ reputation for reimagining old buildings by interjecting modern structures, preserving rare materials, and realigning old construction techniques with present day building requirements. In her aim at creating spaces, she addresses the boundary between inside and outside by bridging the gap between aesthetic organization and emotional and unexpected designs. Raya Bitar was involved in the restoration of Old Medina in Saida , the reconstruction of the 18th Century Saint Jean Monastery in Jounieh and the restoration and adaptive re-use of La Magnanerie, a 19th century Silk Factory into an Event Venue. She also oversaw the design of the Jabal Omar Hilton Towers Hotel in Saudi Arabia, Hotel de Maître on Avenue Maurice Barrès in Paris, a high-end residential community in Sharm El Sheikh, and the Orphan Welfare Headquarters in Riyadh. Raya Bitar holds a degree in Architecture from the Ecole Spéciale d'Architecture (ESA) in Paris. She also earned a Master degree in "Cities, Architecture and Heritage – Middle-east and North Africa" from the Ecole Nationale Supérieure d’Architecture of Paris Belleville and the University of Paris X Nanterre in 2002. In 2003, she was awarded a distinction for her master’s thesis, entitled The Town Hall: Center of Political, Cultural and Associative Powers in Deir El-Kamar.